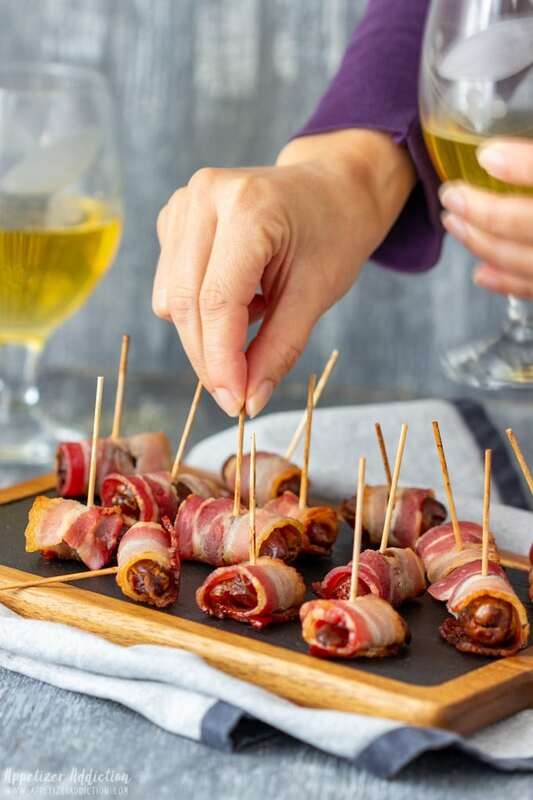 Bacon wrapped dates are easy to make appetizers ready in minutes. 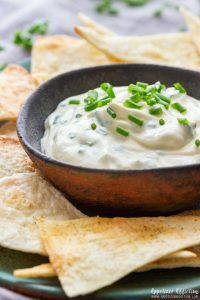 They are delicious on their own or with a dip of your choice. Enjoy them warm or cold! 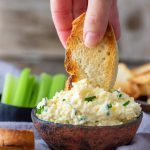 This must be the easiest appetizer recipe for entertaining at home! It literally takes minutes to put together and little time in the oven. They are done when the bacon is cooked through. If you don’t want to serve them on their own, try using Thai sweet chili sauce. 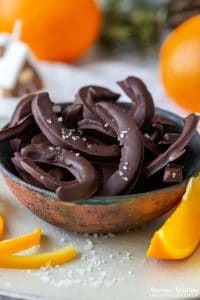 What dates to use for this recipe? 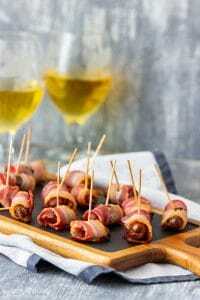 I recommend using any ordinary dried dates to make these bacon wrapped dates. The most common variety is called Deglet Noor. 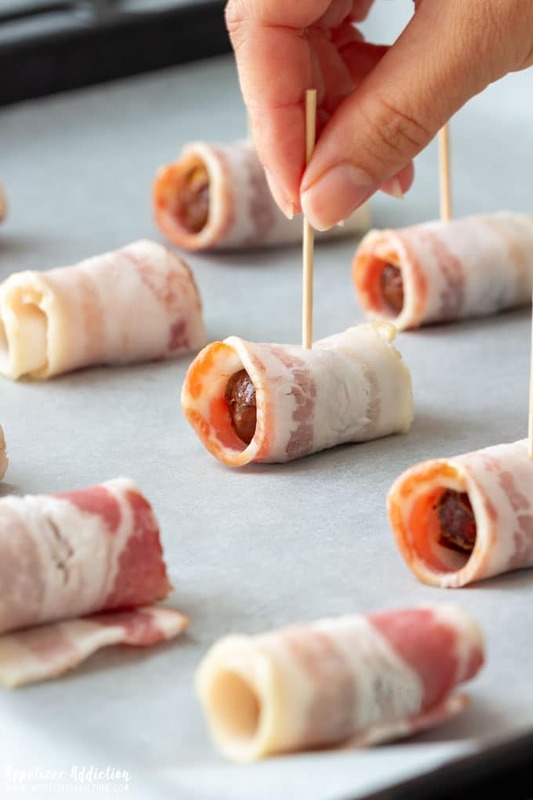 They are quite thin looking and not very large which is perfect for making bacon wrapped appetizers. 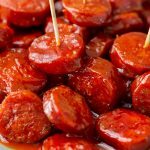 Do not buy the Medjool dates. They are expensive and huge and they are extra sweet. The sweetness might be way too overpowering so I don’t recommend using them. Also these are better on their own or in smoothies, energy bites, bars …. If you would like to read more about this fruit and the differences between each variety, I recommend reading this article: Everything you need to know about dates. 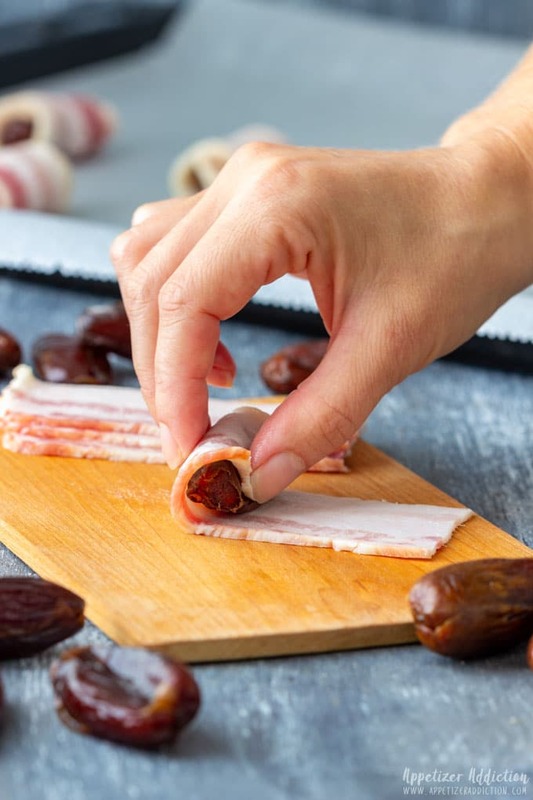 Wrap each date in a piece of raw bacon strip and place it onto a baking tray. I tend to use baking parchment or a silicone mat when baking but you don’t have to if you don’t want to. 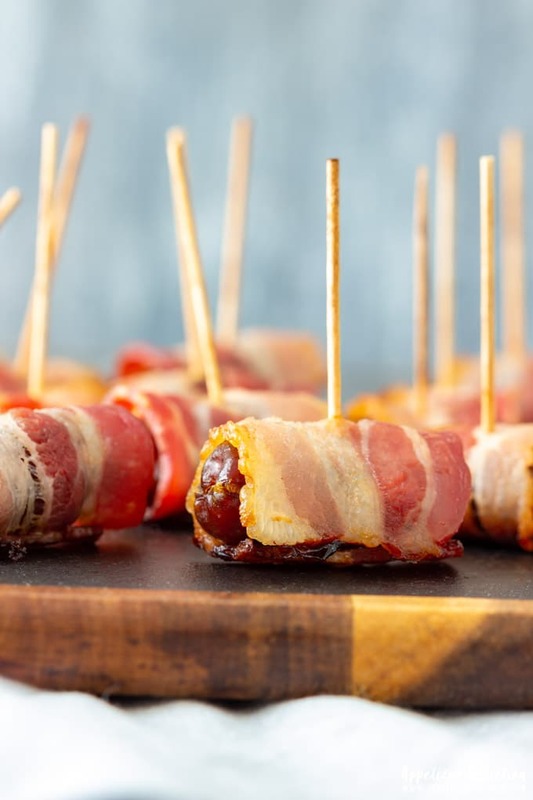 Secure each bacon wrapped date with a toothpick and transfer the tray into a pre-heated oven. Keep an eye on them – they can go fast from being done to being burnt. 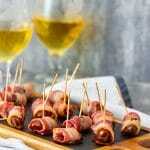 How long do I cook bacon wrapped dates? The might slightly vary from oven to oven but in general count with 12-15 minutes. Just make sure that the bacon is cooked through before taking them out from the oven. I baked them at 375°F/190°C. 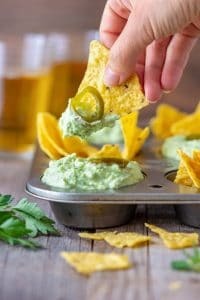 What other appetizers can I serve at my party? 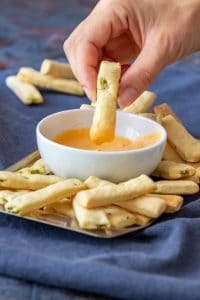 Parmesan Asparagus Pastry Twists, Mini Jalapeno Breadsticks or Spinach Feta Stuffed Mushrooms are all great choices. They are easy to make and tasty. 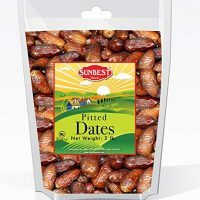 I prefer buying pitted dates as I don’t have to waste my time at home doing it myself. If you have dates with stones on hand, go ahead and use them. Just make sure to remove all the pits. 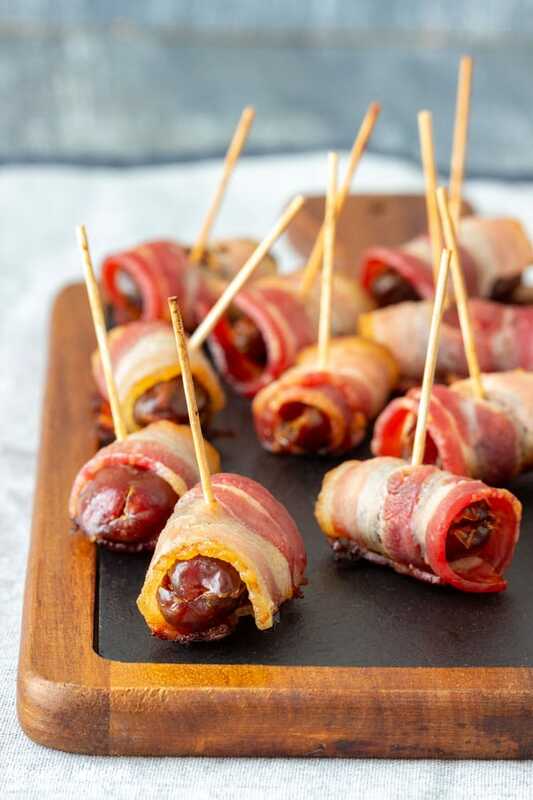 Bacon wrapped dates with almonds are also tasty. 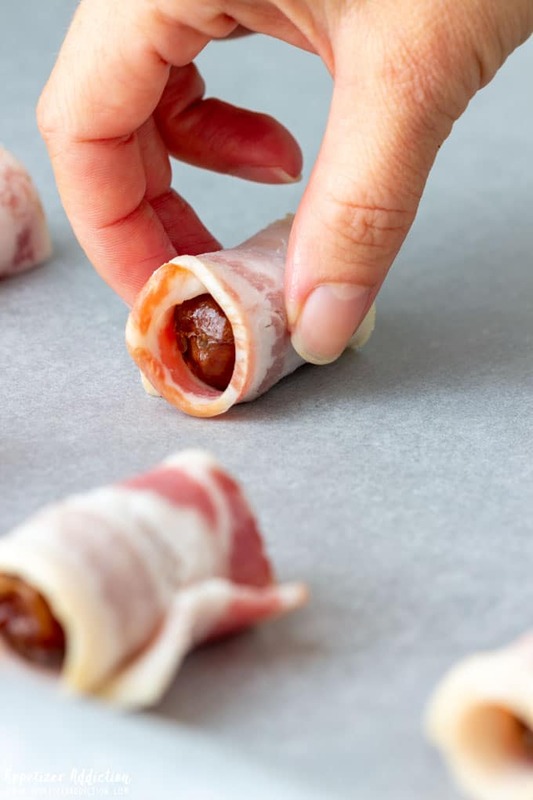 Just fill each date with a whole almond and wrap with bacon. The almonds give these cocktail snacks an extra crunch and texture. 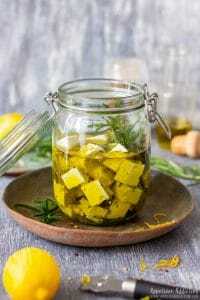 This recipe is very simple and literally takes minutes to prepare. The bacon strips I used were pretty long so I cut each strip in half. There were 7 strips of bacon in one package so I ended up with 14 date appetizers. I wrapped the bacon around once only so it did not overlap much. This means it cooked also faster. 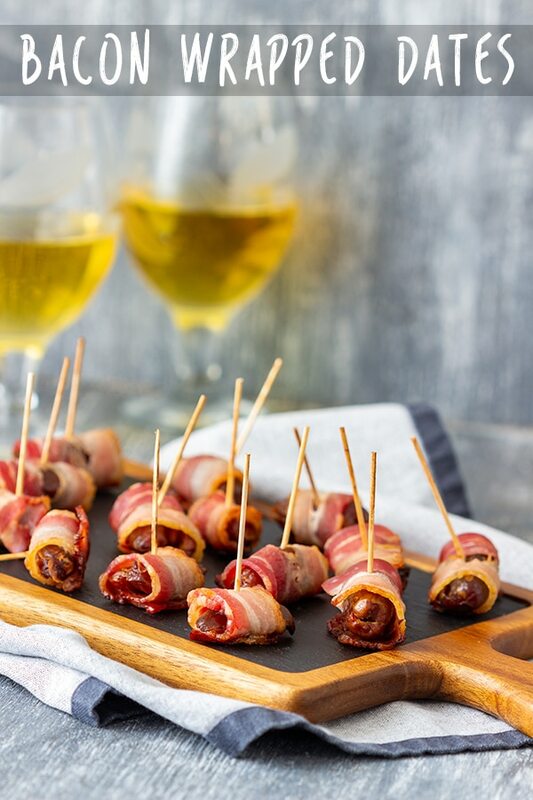 Wrap each date in a half of the bacon strip and place onto a baking tray (lined with baking parchment paper). 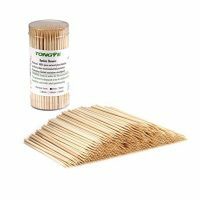 Secure each with a toothpick. Bake in a preheated oven at 375°F/190°C for 12-15 minutes or until the bacon is cooked to your liking (just make sure not to burn the dates). Serve warm or cold with or without a dip of your choice. Deglet noor are small, rather thin dates perfect for this recipe. If you can’t find the deglet noor variety, buy any dried dates that are thin and small. Don’t use Medjool dates. I used Oscar Mayer Bacon Strips that I cut in half. It was the perfect size for these appetizers. You can use any bacon strips you like, just note that you might need a different amount. This depends on the size of the strips, weight and size of the dates. 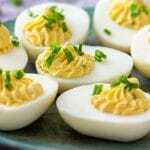 Try serving these with Thai sweet chili sauce. Glad to hear you found the photos helpful, Jill! These look amazing. 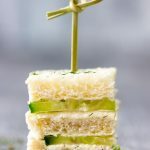 I’ve had these at a restaurant but have never tried making it myself. Good to know it’s easy to make at home. I have never had bacon wrapped dates and I’m not sure why as this looks so delicious! And I definitely would try these dates with the sauce you recommend! OMG These would be soo perfect for a party! I can totally imagine them as part of a mega cheese board! That’s a great idea, Tina! The perfect easy app for the holidays! I will be making this one for sure!